April is National Poetry Month! Abril es el mes para la Poesía!
! a Gozar ! Quien es su POETA favorita ?Porque ?Dejen sus comentarios abajo. The very famous and controversial writer Salman Rushdie, wrote his first memoir, The Jaguar’s Smile, about his time in 1986 when he travels all over the country and talks to everyone from the campesino to the politician. He quotes the great poet from Granada, José Coronel Urtecho,who once said that “Every Nicaraguan is a poet until proven otherwise”. The love of poetry in Nicaragua can be traced back to (1867-1916) there were poets like Salmon de la Selva, who was the first Latin American poet to be nominated for the Nobel Prize. But it was Ruben Dario, otherwise known as the Father of Modernism, who solidified it as the country’s dominant art form. Most Nicaraguans have a passion for poetry and young children, beginning in first grade learn to express themselves in poetry and team up with other classmates to recite Ruben Dario’s poetry. Two great poets, Garcia Lorca ( Spain) and Pablo Neruda ( Chile) pay tribute to Ruben Dario in this effervescent and witty dialogue. His red name deserves to be remembered, along with his essential tendencies, his terrible heartaches, his incandescent uncertainties, his descent to the hospitals of hell, his ascent to the castles of fame, his attributes as a great poet, now and forever undeniable. As a Spanish poet he taught the old and the young in Spain with a generosity and a sense of universality that are lacking in the poets of today. He taught Valle-Inclán and Juan Ramón Jiménez and the Machado brothers, and his voice was water and niter in the furrows of our venerable language. From Rodrigo Caro to the Argensolas or Don Juan Arguijo, Spanish had not seen such plays on words, such clashes of consonants, such lights and forms, as in Rubén Darío. From the landscapes of Velázquez and Goya’s bonfire and Quevedo’s melancholy to the elegant apple color of the Mallorcan peasant girls, Darío walked the Spanish earth as in his own land. After Neruda there have been many successful and noteworthy poets. 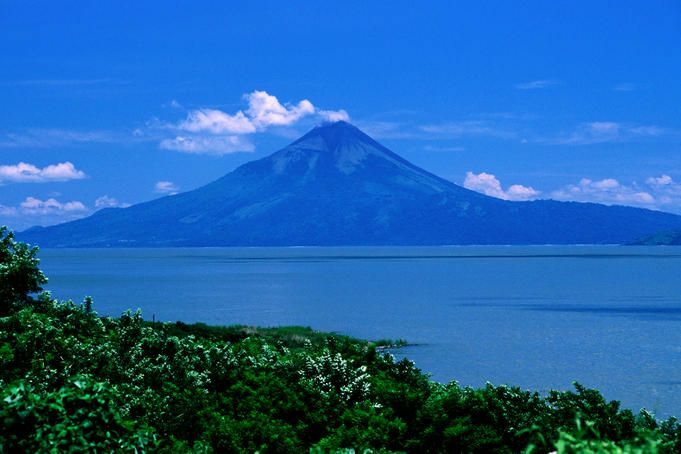 For such a small country, Nicaragua produces more poets and writers, than any other profession. Gioconda Belli, designated amongst the 100 most important poets during the 20th century. Claribel Alegría (1924), poet, she received the Neustadt International Prize for Literature in 2006. Eugenio Batres Garcia (1941) noted newscaster and journalist, writer, author and poet. Beltrán Morales (1945-1986) poet, essayist, critic and narrator. Yolanda Blanco (1954), poet and translator. Tomás Borge (1930), writer, poet, and essayist. Carola Brantome (1961), poet and journalist. Lizandro Chávez Alfaro (1929), poet, essayist and narrator. José Coronel Urtecho (1906-1994), poet, translator, essayist, critic, narrator, playwright, and historian. Rubén Darío (1867-1916), poet, referred to as The Father of Modernism. Gloria Gabuardi (1945), poet and writer. Mercedes Gordillo (1938), poet, writer and critic. Salomón Ibarra Mayorga (1887-1985), poet and lyricist of “Salve a ti, Nicaragua”, the Nicaraguan national anthem. Erwin Krüger (1915-1973), poet and composer. Marta Leonor González (1973), poet, narrator and journalist. Rigoberto López Pérez (1929-1936), poet and writer. María Lourdes Pallais (1954), narrator and journalist. Christianne Meneses Jacobs (1971), writer, editor, and publisher. Tania Montenegro (1969), poet and journalist. Horacio Peña (1946), writer and poet. Rodrigo Peñalba Franco (1981), narrator and author. Milagros Terán (1963), writer, poet, and essayist. Flavio Cesar Tijerino(1926-2006) Writer and poet. Reverend Father Ernesto Cardenal Martínez (born January 20, 1925) is a Nicaraguan Catholic priest and was one of the most famous liberation theologians of the Nicaraguan Sandinistas, a party he has since left. From 1979 to 1987 he served as Nicaragua’s first culture minister. He is also famous as a poet. Cardenal was also the founder of the primitivist art community in the Solentiname Islands, where he lived for more than ten years (1965-1977). He was nominated to receive the Nobel Prize for Literature in May 2005.